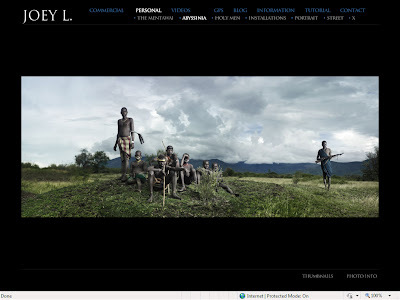 I had the pleasure of meeting and assisting Joey L. at Gulf Photo Plus this past week where apart from the practical lighting and post production workshop he also talked about the portrait work he did in the south of Ethiopia and Indonesia. The work has a studied and slow approach - the effort he took at knowing and engaging his subjects really showed in the images. He has told the story on his blog.. definitely worth a check out! The latest is that he is on his way to Varanasi, India to work on another personal project around the Kumbh Mela. 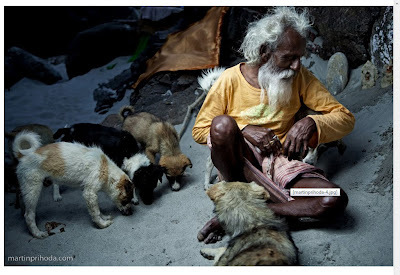 Then this morning, while perusing my feed reader I see the latest update from Mumbai based photographer Martin Prihoda. He has shot a wonderful series of portraits of yogis (yoga is a subject of great interest and passion for him) in and around Varanasi and Haridwar.. also definitely hit up his blog to see the images. I would love to see what JoeyL. comes up with on his trip.. would be fun to put Martin's and Joey's images side by side to see how the perspectives differ. Historically common subjects have been tackled by many different photographers.. but with the great ones you always see a unique, personal perspective.. you can see the person behind the images.